On July 30, 1965, President Johnson flew to Independence, Missouri to sign the Medicare bill. The new statute included two related insurance programs to finance substantial portions of the hospital and physician expenses incurred by Americans over the age of sixty-five. Public attempts to improve American health standards have typically precipitated bitter debate, even as the issue has shifted from the professional and legal status of physicians to the availability of hospital care and public health programs. 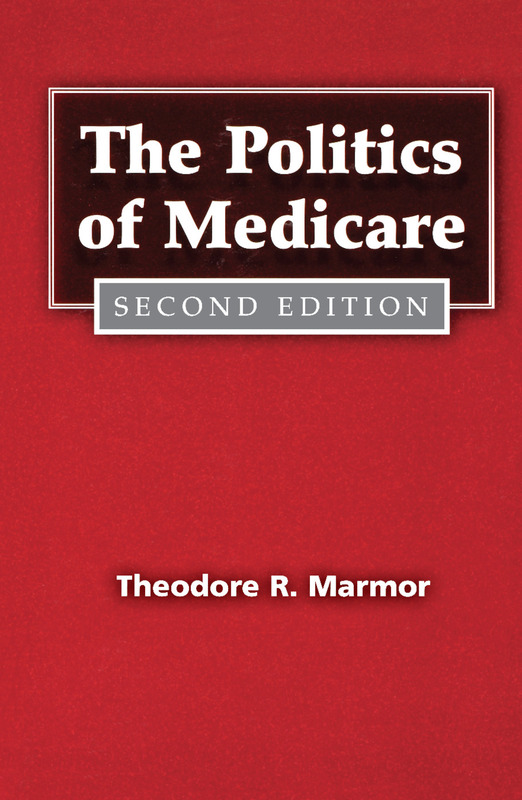 In The Politics of Medicare, Marmor helps the reader understand Medicare's origins, and he interprets the history of the program and explores what happened to Medicare politically as it turned from a legislative act in the mid-1960s to a major program of American government in the three decades since. This is a vibrant study of an important piece of legislation that asks and answers several questions: How could the American political system yield a policy that simultaneously appeased anti-governmental biases and used the federal government to provide a major entitlement? How was the American Medical Association legally overcome yet placated enough to participate in the program? And how did the Medicare law emerge so enlarged from earlier proposals that themselves had caused so much controversy?